Monsoon decides the fate of about 58 per cent of the rural households in India. In fact, 44 per cent of the total food production is from rain-fed farms where irrigation is still a far cry. Accurate predictions of rainfall and dry spell are essential for farmers to plan their crop planting and communities to prepare for floods and droughts. Scientists from India and the UK launched a collaborative project to predict monsoon by studying ocean processes in the Bay of Bengal and atmospheric measurements. While scientists from the University of East Anglia (UEA) will release underwater robots to monitor impact of ocean conditions on monsoon rainfall, the collaborators from the University of Reading and India will use Facility for Airborne Atmospheric Measurements (FAAM) aircraft to take atmospheric measurements at the same time. This combined study is expected to help in forecasting the arrival of the monsoon more accurately than ever before. Improving rainfall prediction, as the research team is trying to achieve, can not only improve the livelihoods of millions of people by revolutionising subsistence farming but also help mitigate the damage caused by monsoon. Lead researcher, Adrian Matthews, from UEA’s School of Environmental Sciences, said: “The Indian monsoon is notoriously hard to predict. It is a very complicated weather system and the processes are not understood or recorded in science.” His team would be doing the first-of-a-kind research that combines the oceanic and atmospheric measurements to monitor weather systems as they are generated. This £8-million project, funded by the Natural Environment Research Council, the Newton Fund, the Indian Ministry of Earth Sciences (MoES) and the UK's Met Office, aims at gaining a better understanding of physical processes so that the dependence on imperfect models for predicting monsoon rainfall is reduced. The goal of the project, as Matthews posited, is to empower subsistence farmers with the knowledge of when and how much rain will fall. The larger objective, however, is to “better understand how the southern Asian monsoon affects the whole world’s climate”. The course has been charted for the Bay of Bengal Boundary Layer Experiment (BoBBLE). 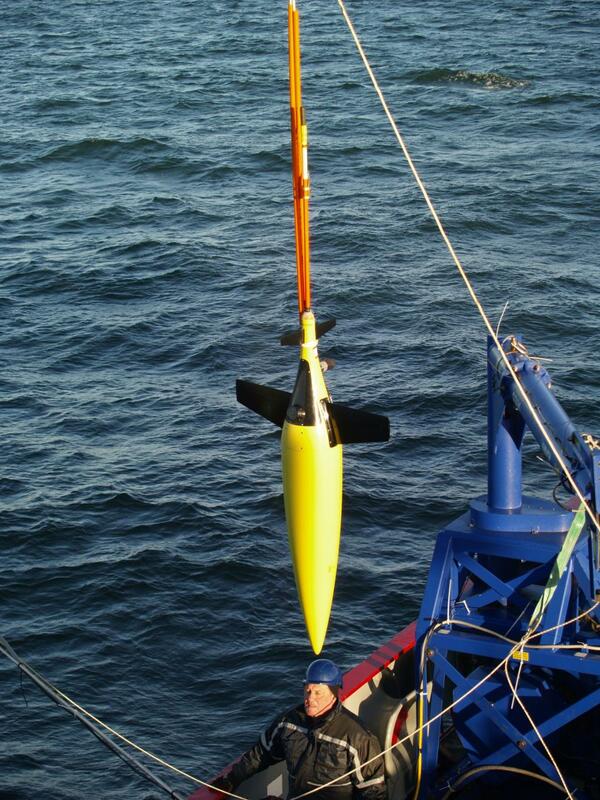 Led by UEA scientists in collaboration with the University of Reading and the National Oceanography Centre (NOC) in Southampton, the team of scientists will release seven underwater robots (gliders) to measure ocean properties such as temperature, salinity and current. On June 24, the UEA team will set sail from Chennai into the Bay of Bengal on the Indian research ship – the Sindhu Sadhana. The team will be supported by collaborators in India, including the Centre for Atmospheric and Oceanic Sciences (CAOS), the Indian National Centre for Climate Information Services (INCOIS), the National Centre for Medium Range Weather Forecasting (NCMRWF) and the National Institute of Ocean Technology (NIOT). The data from the 250-mile stretch of international water will be sent to the UK using mobile phone signals every day for two months. The same data will be analysed by the researchers at UEA, the University of Reading and NOC to create computer models of the ocean to understand how it affects weather systems and rainfall across India. At the same time, the collaborators in India will launch a state-of-the-art aircraft to make simultaneous observations in the atmosphere. The success in forecasting time and location of rains accurately has remained elusive till now. It doesn’t augur well for a country like India where summer monsoons provide 80 per cent of annual rainfall to almost a billion people. More so, when rainfall patterns in India continue to change drastically. A Down To Earth report on 2014 study by scientists from Stanford University in the US had raised alarm over consistent drop in the average seasonal rainfall in India during the summer monsoon months of July-August. The study found a decreasing trend in the mean rainfall during the summer monsoon months and an increase in the daily rainfall variability during July-August. The new study, which will be jointly conducted by the UK and Indian scientists, gains immense importance since studying patterns of monsoon has become crucial in understanding higher frequency of dry spells and increasing intensity of wet spells. These events are increasing the risk of drought and flood in India. The Indian Meteorological Department, which claims having the best model for monsoon predictions, has often been off the mark with its predictions. A Down To Earth report had earlier observed that numerical forecasting by the IMD is riddled with uncertainties since it is based on inaccurate and insufficient observations of the initial conditions. Ever since the first forecasts in the late 19th century, the IMD has refined its models frequently. Despite this, it has often failed, especially in 2014 and 2015, in predicting monsoon accurately. Moreover, the IMD issues forecasts for the country as a whole and five regions. It does not give separate predictions for the 29 states of the country. Due to the large extent of the country, one national forecast is hardly of any help to farmers across diverse climatic zones. Hence, they are unable to prepare for disasters due to extreme downpour or severe shortage of rainfall. Winds of change can be felt at the IMD as India’s meteorological office is reportedly spending $60 million on a new supercomputer to improve the accuracy of vital weather forecasts. While the scientists from UEA and their Indian counterparts are collaboratively working on oceanic and atmospheric measurements, the met department has decided to try computing power to generate 3D models to predict how the monsoon will develop. According to M. Rajeevan, the top scientist in the Ministry of Earth Sciences, "If everything goes well, by 2017 we'll make this dynamical model operational by replacing the statistical model." Experts are of the opinion that improved forecasting will help farmers know the best time to sow, irrigate and apply fertiliser to crops. This, in turn, will help India increase its agricultural output by nearly 15 per cent.